I am working with a gross borrowing of ~6.50tn. 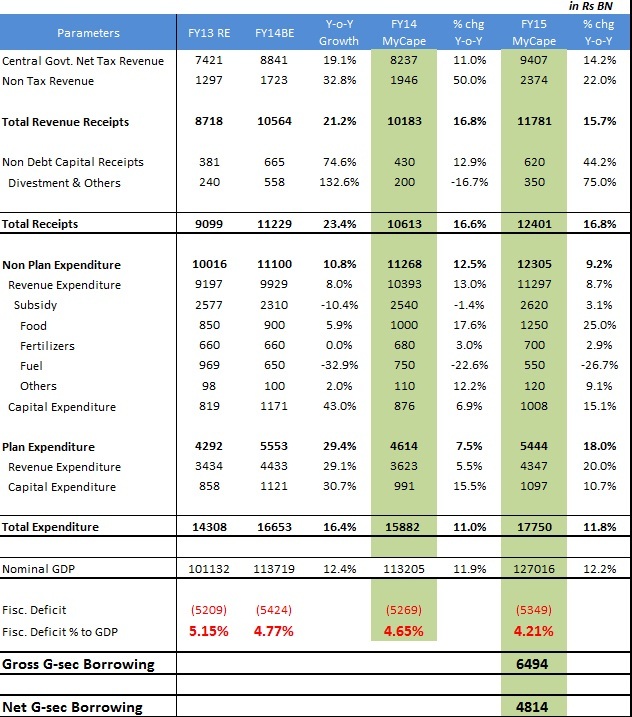 However note that I haven’t considered cash balance which government will carry next year. Cash balance may range anywhere between 400-550bn. Hence gross borrowing then, excluding cash balance, should come down to 5.95-6.1tn. Note – I haven’t incorporated switch effect anywhere above. If government, which had already bought ~120bn of FY15 debt, switches ~200bn by FY14 end then above figure of 4.3-4.4tn for net supply should fall by similar amount i.e. 200bn to 4.1-4.2tn. I would add duration at current levels however on an incremental basis with a minimum 2 year horizon.